Americans value comfort. Perhaps, it wouldn’t be wrong to say that this nation strives for convenience and seeks way to ease their lives more than any other on the globe. Homes of many American people are characterized by the presence of small interior elements and pieces that they can surely do without, but they wouldn’t, because these small things make their homes more comfortable. Today we’d like to speak about 10 such items. Who knows, maybe you’d find them useful and would like to get some for your own home! Remember, how many times you would spill water all over you when trying to wash a big frying pan or a pot or fill the flower vase in your kitchen sink? American sinks are quite different from standard European dimensions: they are twice as wide and three times deeper. There’s no problem to fit all the dishes after a big party in one sink, without cluttering all the horizontal surfaces. 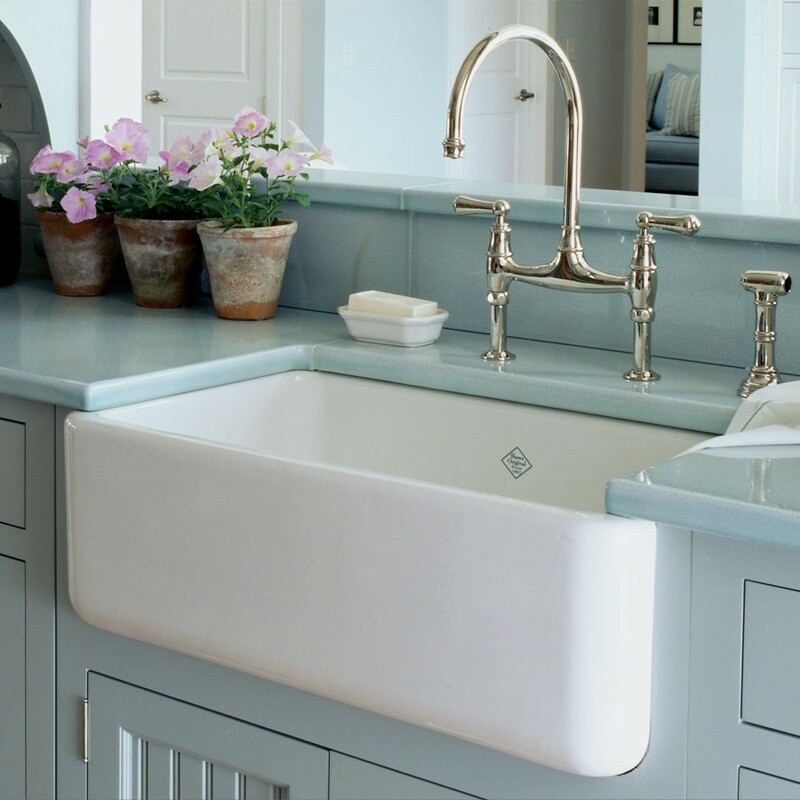 But it has to be mentioned that it wouldn’t be so convenient to wash ceramic tableware in such a sink. Though, if you have a dishwasher, it’s not a problem indeed. This post had to be published just for the sake of this thing alone. The essence of the garbage disposal is that about 60% of domestic waste can be thrown away right in the sink instead of a trash can. 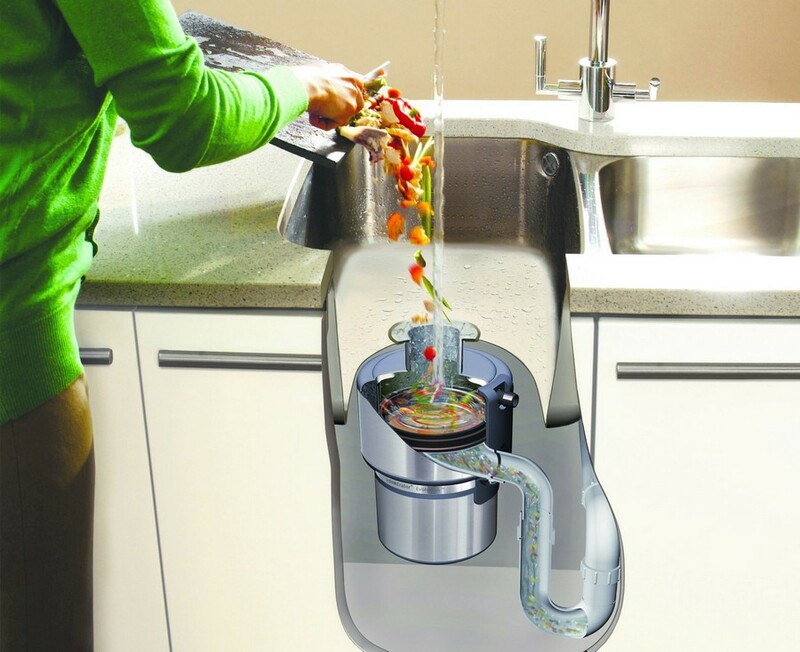 This device is installed below the kitchen sink, between the sink’s drain and the trap, and is able to shred food residues and waste into tiniest pieces. Food residues from plates, shrimps and even chicken bones can be turned into powder and sent to the plumbing. This way you would forget about leaking garbage bags forever. It’s not an option for everyone, of course. 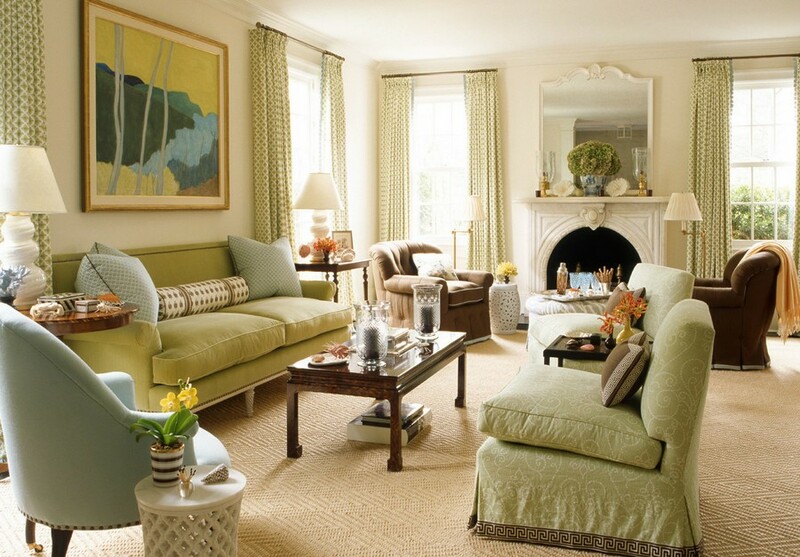 But if you have a private suburban or country house, it’s worth having such a space there. Even if you order a big beautiful kitchen suite, but all your appliances – mixers, toasters, blenders, coffee makers, slow cookers and so on – will be arranged on the worktop, it would be all in vain. Firstly, they spoil interiors. Secondly, they have to be regularly cleaned from grease and dust stuck on them to keep the space tidy. And thirdly, they take away much useful space. But if you can afford sacrificing about 6 square meters for a small, even doorless pantry closet, it would be much more convenient and tidy. 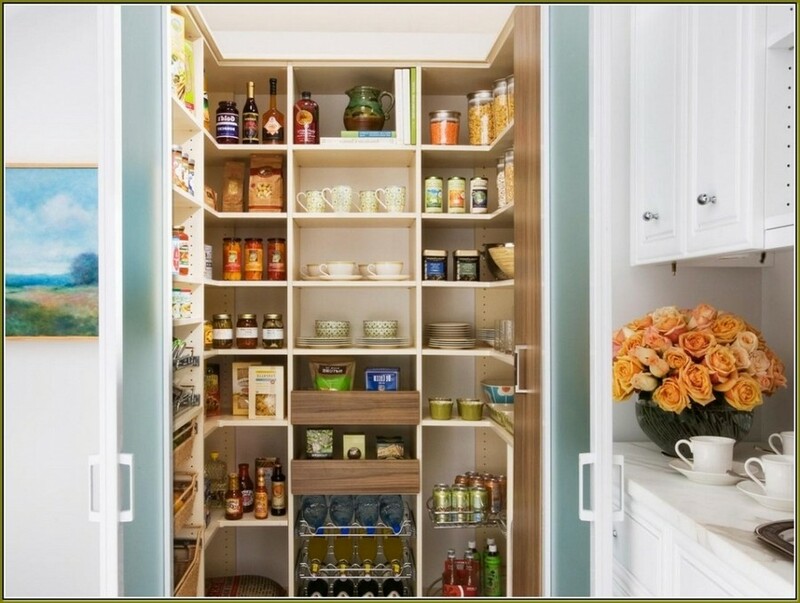 This is a nice zone for keeping all your kitchen appliances with an easy access, and also storing all the cereals, pasta, canned food and even a freezer. 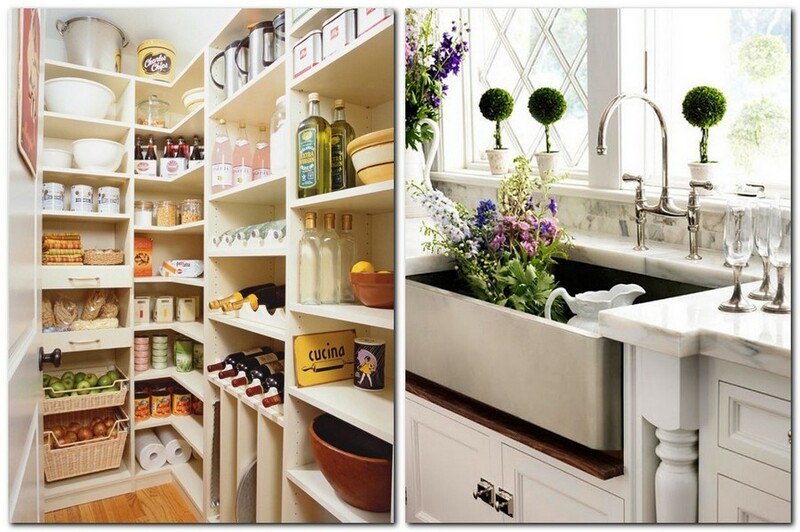 Eventually, the storage zone in the kitchen can be minimized in favor of a bigger worktop. This interior solution may seem quite weird at first sight. But if you habitually shave legs or rub peel on heels in the shower, this is a great idea. Shower benches can be free-standing, made from teak or larch, or they may be a part of the wall – just a ledge in the wall finished with the same tiles. As a rule it’s sized 35cm x 35 cm. This interior solution is not about some super convenience, it’s more about the beauty. A made bed just looks more aesthetical, when you put a sheet above the duvet cover and coat it with a bedspread so that they both ended in front of the pillows. 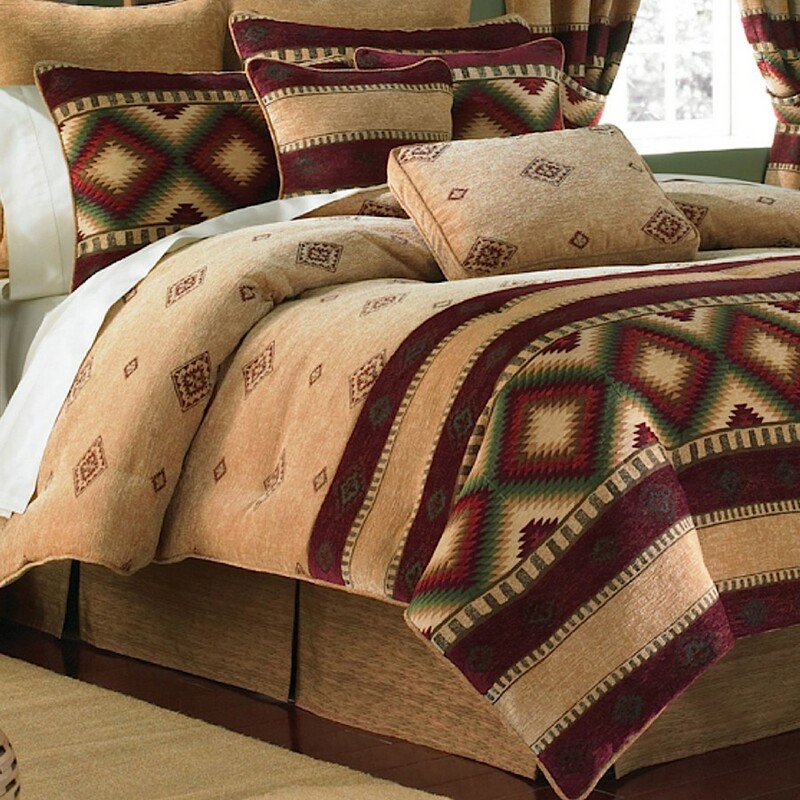 As for the pillows, you’re likely to find about 3-4 rows of them on a typical American bed. And it’s not just a tribute to design, but also for taking a nap in the afternoon on decorative pillows and with the clothes on, while common pillows are kept clean for the night sleep. You may skip this paragraph if you’re pretty satisfied with your life and wouldn’t like to change anything. And if you’ve ever wondered why nightstands should be necessarily identical like shoes, than why not break this boring hotel-style symmetry? By the way, we have a separate post about mismatched nightstands with beautiful examples on HomeKlondike. As a rule, free-standing wardrobes can be found only in very cheap American apartments. 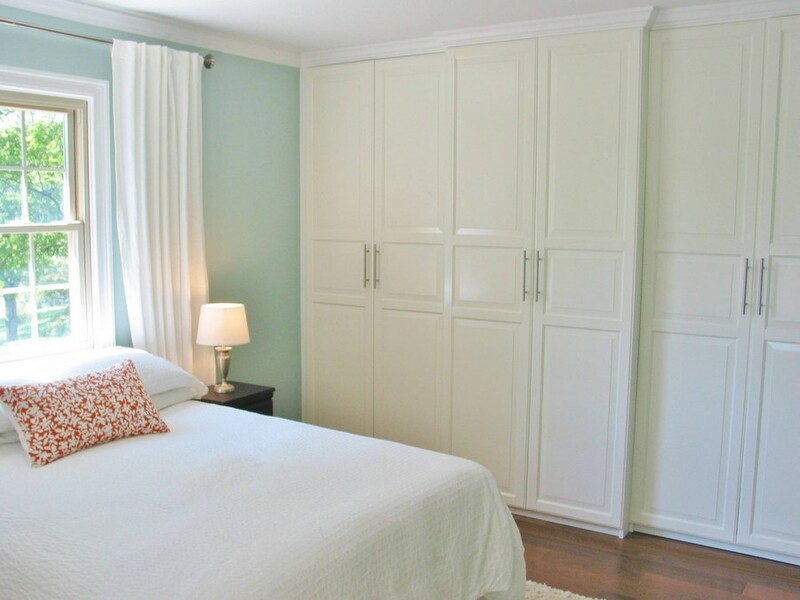 Most people in the USA choose built-in closets for their integrity, tidiness and lower price. If you’re in the midst of renovation or reconstruction, just envisage a few extra walls from plasterboard and hang doors on them. And storage systems can be purchased later from different stores. Many homes can’t boast high ceilings. And when a room is bigger than 20 square meters and has a low ceiling, a chandelier would just partition it off. In this case you’d better give preference to local lighting – table lamps, sconces and floor lamps – and couple them with spot lights, directed at bookshelves or wall art. This is not a new, but still very useful option. We’re used to hanging sheer curtains always, even if our windows overlook some open space. In America people would hang sheer curtains only when someone can watch them from the opposite buildings or from the street. So, if your apartment is “invisible”, you’d better let in more sunlight. Americans love holidays! 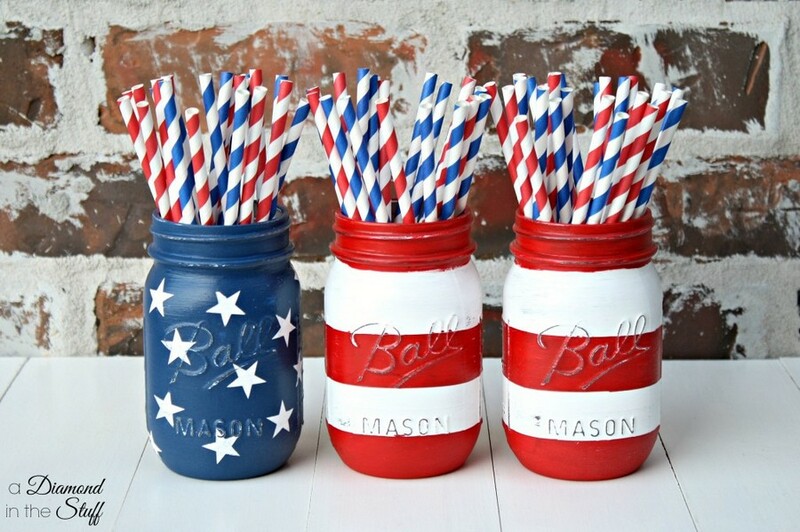 They celebrate all the occasions, both of their own and their neighbors: starts and finishes of school years, birthdays of kids, moving-ins and moving-outs, Independence Day, city days and so on. Stores have special departments dedicated to holiday stuff and are packed with balloons, flags, wreaths and other stuff for each occasion. In the end their celebrations appear to be very festive and prettily decorated. And this is such a great way of brightening up daily routine!